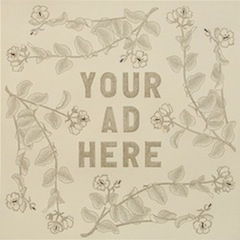 For the past weeks, I have received several emails about campaigns by Nestle and Wyeth promoting their products. Let me share my thoughts about them. These campaigns refer to advertisements for follow-on milk for 12-36 month old children. I called the Milk Code Secretariat and confirmed that it was approved by the Inter-Agency Committee created under the Milk Code. Next question? Was this legally approved? Who didn't grow up with Crayola? I'm sure we all did! I still remember that 64-crayon box with built-in sharpener that I loved when I was younger. 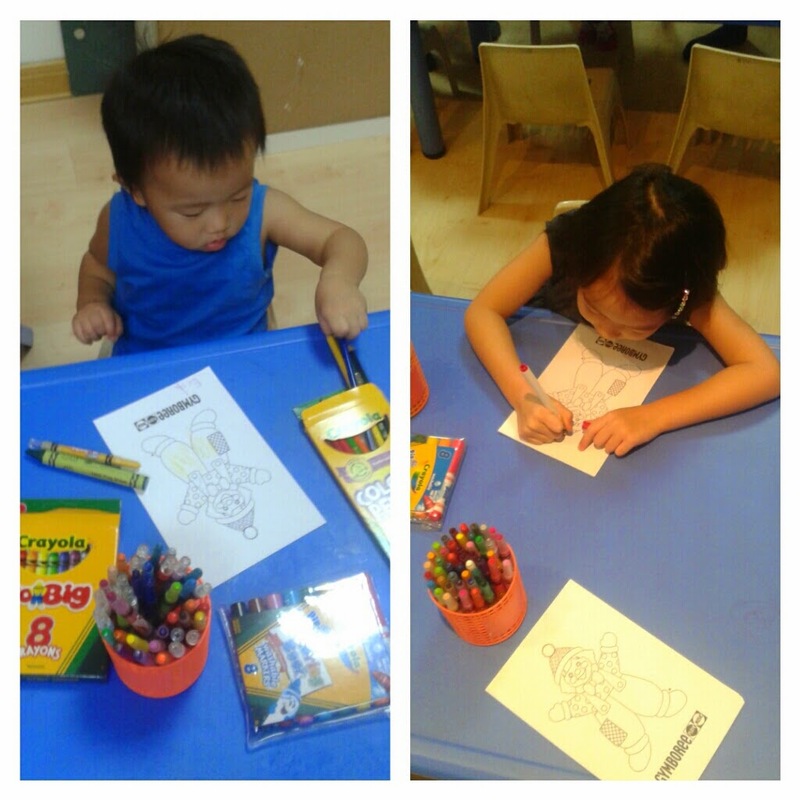 A couple of Saturdays ago, the #SoMoms were invited by Crayola to introduce their new brand - T-Pencil. Apparently, Amspec has been making pencils for other brands for several years but finally decided to make their own line, given their long experience in manufacturing kid-safe, quality pencils. The event was held in Gymboree Shangri-La. E is a Gymboree regular and happily, the event was facilitated by someone he was familiar with - his Art teacher - Teacher Rain. Meanwhile, since N loves art and craft, she excitedly got to work on the materials laid out. Dr. Jack Newman is coming to Manila! brought to you by L.A.T.C.H. I cannot contain my excitement!! 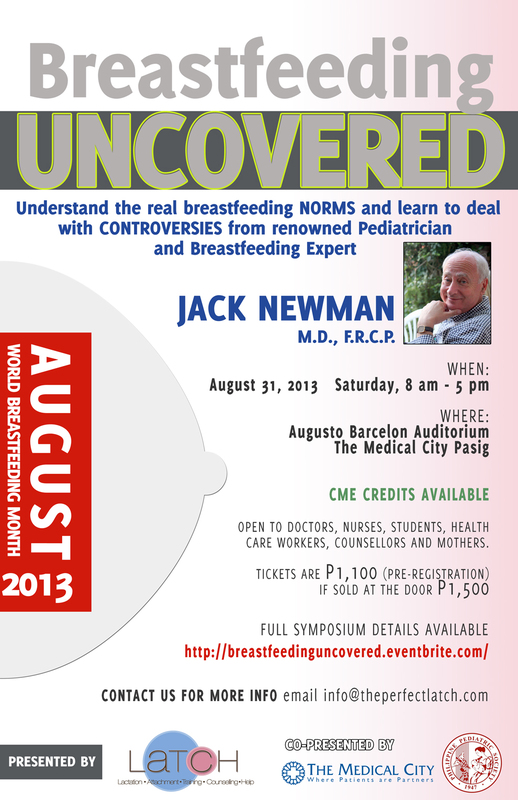 Breastfeeding rockstar Dr. Jack Newman is coming to Manila! If you don't know who he is - well, he is THE breastfeeding expert in North America. He is a pediatrician who has dedicated his life to helping children breastfeed. 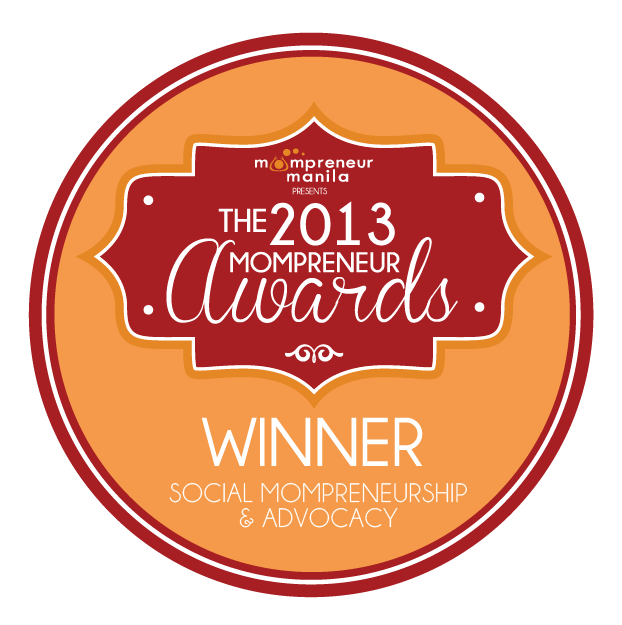 In his website,Breastfeeding Inc., he has several videos especially useful to new moms. When N was a newborn, I spent many nights watching his videos. When E was born, I went back to his videos to help me remember how it was like breastfeeding a newborn. Whenever I counsel or encourage new moms, I always refer them to Dr. Newman's videos. The last time I was in Boracay was almost 10 years ago when I was a fun-loving singleton. I have stayed in resorts from Stations 1, 2, 3 and beyond (Diniwid) - luxury and budget. Stan and I had been to Boracay together before but that was when we were more mobile, out to have a good time and party. This trip is the first for both kids - our first trip as a family. Thanks to a friend, we were able to get discounted vouchers to Shangri-La's Boracay Resort. Since the vouchers were good only for 2 nights, we booked 2 more nights at a family-friendly resort in Station 1 - Sur. Staying in Station 2 would have actually been more convenient since it was closer to restaurants. However, because Boracay was getting more and more crowded, I wouldn't recommend it if you are with young kids. New World Makati is always special to me because this was one of the places where Mr. Ong and I dated in the early days of our relationship. I still remember our "kilig" moments at the now-closed Bocarino's almost 15 years ago. Recently, the SoMoms were invited to a dinner at Jasmine restaurant to introduce their fine Cantonese signature sets. Whenever I hear Chinese restaurants set menus, I always think of lauriat meals. However, I was pleasantly surprised to find out that New World's Jasmine does their Chinese restaurants set menus in style! Happy Father's Day to our Breastfeeding Daddy! This year marks Stan's 6th Father's Day. Not because I am being biased - but he is excellent at being a father! There is a running contest among Stan's barkada about how he is doting dad ideal. Beyond being a doting dad, there are just so many things that I am thankful for and let me take the opportunity to do so in this blog post. Thank you for overcoming your squeamishness, holding up my legs when it was time to deliver our babies and wrapping up E's placenta for future use. Thank you for changing all diapers - wet and dirty during the kids' first month, allowing me to learn how to breastfeed and to recuperate. Thank you for giving both our kids their first baths, washing their faces, cleaning up their poo and spit-ups and putting them to sleep, giving me a lot of "ME" time. Thank you for attending breastfeeding and birthing classes with me and for never saying No even if you are skeptical of the practices I suggest. Thank you for NEVER suggesting that we switch to formula milk when I was having trouble with N.
Thank you for bearing with me when I asked to see several lactation counselors, breastfeeding counselors to get my latch, positioning right. 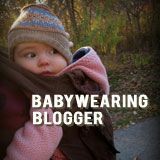 Thank you for taking breastfeeding photographs, for being open to talk about and give breastfeeding tips to families (especially dads) who ask you about it. Thank you for making the kids laugh and scheduling daddy dates without me or the kids asking you to. Thank you for keeping it cool during the times I lose my temper. Thank you for never being a male chauvinist - for stepping up to take care of our children's needs - without thought on whether it is a man's job or a woman's job. Thank you for giving your children their best start in life by encouraging me to breastfeed and adopting my advocacy as your own. Happy Father's Day to the Number One Dad in our lives!! We love you! 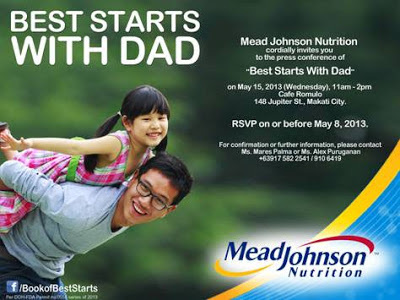 When I wrote my last post about #beststartswithdad, several people asked me why I was so bothered when the campaign was for growing up milk? Was I against thanking the dads? Am I making formula feeding moms guilty? I am not against companies thanking dads for their support, etc.etc. But when the campaign undermines breastfeeding, then I take a stand. I was supposed to start off June with a feel good post about our summer vacation. However, with the launch of this devious underhanded marketing campaign of Mead Johnson, I have to start June with this not-feel good post. Some weeks ago, some blogger friends received this invitation and sent it to me. I was not invited (for obvious reasons!!) and I wasn't the type to crash an event just to find out what was going on.